Kuzan and Blackbeard – What's connecting them? Kuzan and Blackbeard – What’s connecting them? Long time no see everybody! Today we are back with a new theory about Kuzan and Blackbeard. We are gonna discuss the connection between them and the possible reasons they seem to have become affiliated. 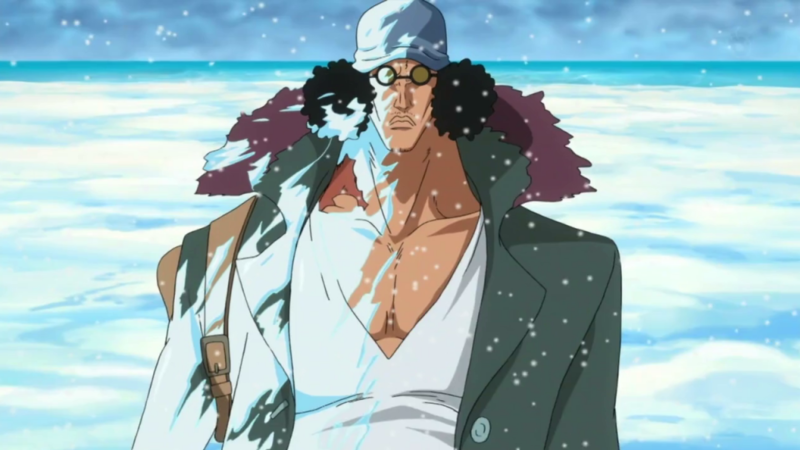 Lets start by talking briefly about the former Admiral Ao Kiji, otherwise known as Kuzan. He is a man who promotes his own sense of justice, one that has been called “Lazy Justice”, due to his laid back and bored attitude. From what we know till now, he has a connection with Robin, back from the days of Ohara. As well as that, he seems to have some kind of debt to Garp, though we don’t really know what it is as of now. He is a character that seems to be “close” to Luffy and his idiosyncrasy. During the timeskip, he lost to the current Fleet Admiral Akainu, for the title of the head of the Marines. When Sengoku resigned from the position of Fleet Admiral, he promoted Ao Kiji for the title. 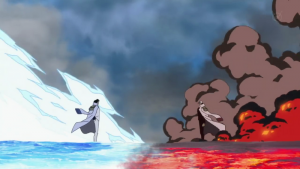 Sakazuki though objected and demanded that the two would fight for it. Thus, a huge fight between the two happened at the island of Punk Hazard, which resulted in the island changing its environment, possibly due to the Awakening of the two Logia devil fruit powerhouses. Kuzan lost at Punk Hazard after a very close fight, and after that he left the Marines. He decided to delve into the underworld of brokers, in order to find Blackbeard and become affiliated with him. That was stated clearly by the Gorosei themselves. Kuzan was also shown saving Smoker from Doflamingo in Punk Hazard. But why was he there in the first place? I believe he was there to capture Caesar Clown for Blackbeard. After all, he would have to do something for him, in order to gain his loyalty. Furthermore, the smiles are so important, that Teach wouldn’t overlook them at all. We do know as well that he never thought much of the World Government. That being said, why did he choose to fight for the title of the Fleet Admiral? Well, he probably thought that with the power and influence he would gain, it would have been possible for him to change the Marines from the inside. That’s why he decided to confront Sakazuki. Due to the latest developments, many interesting questions arise and we will explore them today. Why did he join Teach? There are three main possibilities, regarding the reason Ao Kiji approached Teach. The first two are quite possible and nice theories, but the third one is my personal favorite. Lets delve into each one of them. The first idea is that Kuzan hasn’t left the Marines for real, but still works undercover as a spy for them. The question is, how did this one go about? I believe that the most probable scenario, is that he was somehow obligated to serve as a spy. Lets not forget that Aokiji lost in the island of Punk Hazard. Another question arises. Why didn’t Akainu kill him after deafeating him? He never shows mercy, so why would he do that for Kuzan? There are two possibilities here as well. Firstly, it could have been that they were both so exhausted from the fight(it has been said that it was a close call), so Akainu wasn’t able to finish him off. The other really interesting idea is that Sakazuki decided to use the deafeated Aokiji for the benefit of the Marines. In order for him to spare his life, Kuzan would have to spy on Marshall D Teach. The other idea, which i deem not quite possible, is that he just went rogue. He was fed up by the practices of the World Government and the Marines, so his defeat was the urge he just needed. He wouldn’t stay a Marine, with a person like Akainu as his superior. So basically he decided to pursue his own personal justice. 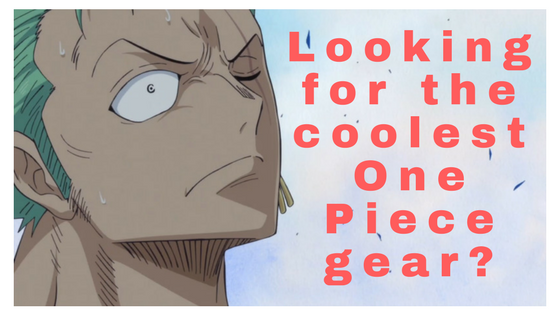 But why wouldn’t he join someone cooler and closer to his ideals, like say Shanks? 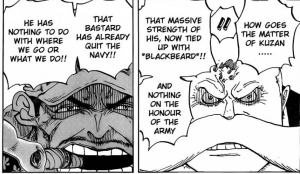 It doesn’t make sense that he joined Blackbeard, just for holding a grudge against the Marines. My personal favorite theory is that Kuzan is a spy for the Revolutionaries. It makes sense, if we also considered the theory that Dragon is a former marine(the theory can be found here). So we have two possibilites here. The one is that he was a spy of the revolutionaries from the beginning, even when he was a part of the Marines. After his loss at the hands of Akainu, he left and went off to spy Teach. What i believe is more possible, is that he just kept a connection with Dragon. They must have been friends during Dragon’s marine days, but Aokiji decided to stay and change the system from the inside. When he decided he couldn’t, after losing to Akainu, it was time for him to move on and join the Revolutionaries. His first task was of course to spy Blackbeard. Thus, he joined him. Why is he spying Blackbeard? Okay, Aokiji may be a spy. Either for the Marines or for the Revolutionaries. However, one question remains. Why would they choose Teach as the pirate to be spied? Well, aside from the fact that he is extremely dangerous, with a really powerful crew, he is really unpredictable and evil. The fact that someone like Kuzan is so close to him, is a way of keeping your enemies closer. The second and equally important reason is that Blackbeard possesses two devil fruits, which still remains a mystery. 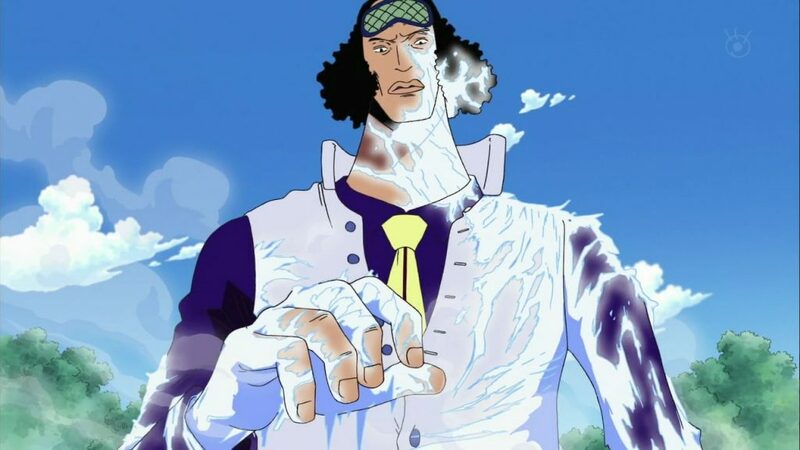 Aokiji must be investigating the way the Blackbeards steal devil fruits(theory here) and the mystery of having multiple devil fruits. This was today’s post, about the connection between Kuzan and Blackbeard. Do you believe he and Akainu will rematch? Share in the comment section below. As always, check out our recommendations page and like our facebook page for our most recent updates! Wow man I love your site. Really cool break down. This is my first time hearing of these characters but it was very interesting. I love a good story line. I am more of a Star Trek, a little Marvel, and Lord of the Rings type of guy. But this sounds really cool. The mystery behind what we don ‘t know is always fun. Trying to figure out what is going on that the author has not told us. Makes life interesting. This article really helps generate interest because it is well written and descriptive obviously a very interesting storyline. Also, the site is well formatted which makes it easy to follow. Great job on this site and this article in particular. Your authorship is strong! I particularly like how you describe the character relationship that helps intertwine the story and its separate components. 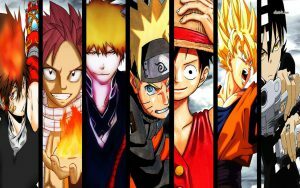 Next Next post: Baltigo One Piece – What really happened there?